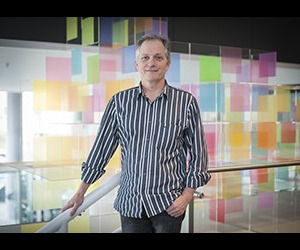 Melbourne scientist Associate Professor David Tarlinton has received the Distinguished Innovator award from the US-based Lupus Research Institute to investigate the causes of lupus and develop new approaches to its treatment. Lupus is a disease in which the body's immune system attacks itself, causing serious damage to tissues including the kidneys, heart, skin, joints, blood vessels and lungs. A so-called autoimmune disease which can be fatal in its most severe forms, it affects more than 17,000 Australians and is more prevalent in women, who represent 90 per cent of people affected. The Distinguished Innovator award will provide Associate Professor Tarlinton with US$1 million over four years to investigate the immune cells at the root of lupus. Associate Professor Tarlinton from the Walter and Eliza Hall Institute's Immunology division said it was a great honour to receive the award. "With this support, we can expand enormously on our work into how lupus develops," he said. "Many symptoms of lupus are caused by abnormalities in antibody production, both the nature of the antibodies and amount that is made. "Antibodies are produced by specialised immune cells called plasma cells, and normally these antibodies detect and remove foreign objects such as bacteria and viruses. "In people with lupus, the production of plasma cells can go awry and they produce antibodies, known as 'autoantibodies', which recognise the body's own tissues as foreign and attack and destroy them. This causes the inflammation and tissue damage that is characteristic of lupus." 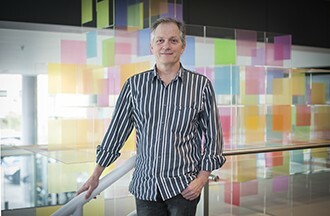 Associate Professor Tarlinton said his research would focus on the cell signalling pathways that regulate the survival of plasma cells. "Our previous studies have shown that a protein called Lyn plays an important role in plasma cell survival," he said. "If Lyn isn't functioning properly, more plasma cells making harmful antibodies live longer than they should, and lupus-like symptoms develop. By determining how Lyn is involved in plasma cell survival signalling, we aim to develop treatments that inhibit or reverse this build-up of plasma cells and thus either prevent the disease from developing or diminish the severity of established disease." Associate Professor Tarlinton was presented with the Distinguished Innovator award at the Lupus Research Institute's annual scientific conference in New York on 7 October. The grant is awarded to scientists for novel research that can prevent, treat, or cure lupus.